Hi, guys! 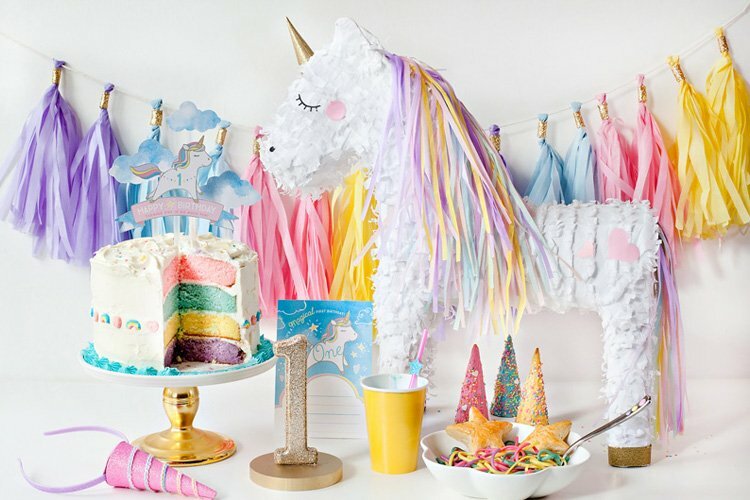 I’m so excited to FINALLY share a fun & super COLORFUL little party with you that I designed earlier this year. 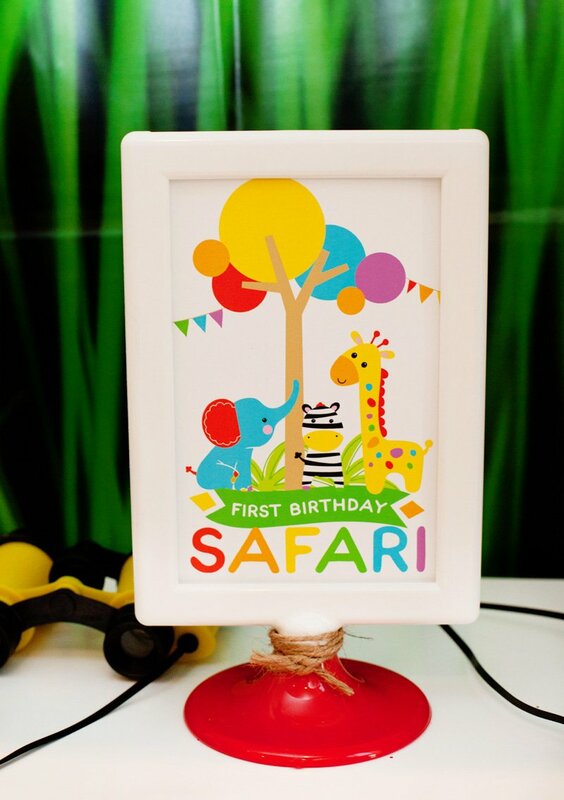 This Rainbow Safari First Birthday was created for Fisher-Price, and you can find my free printables + 7 different DIY tutorials on various elements from the party over on the their website. I am a HUGE fan of cute animals and just loved working that element into the theme. 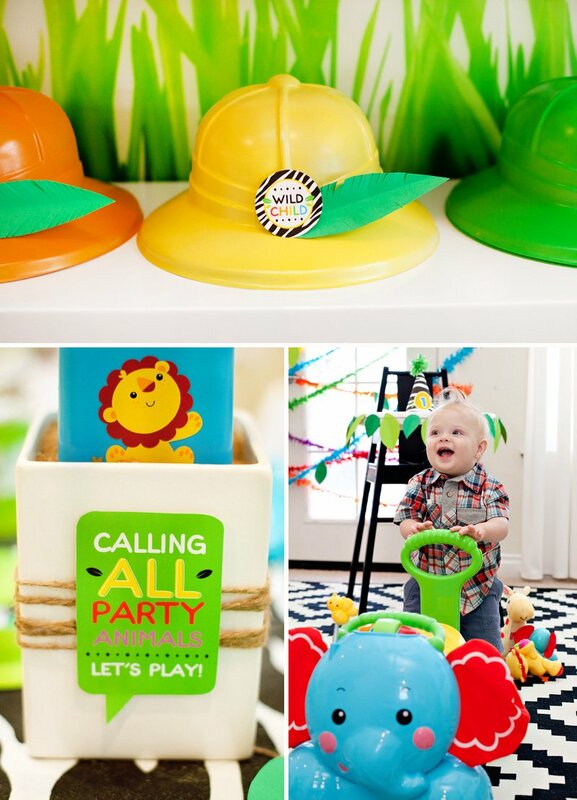 However, I definitely struggled a bit at first with how to merge the “safari” portion of the theme – which is most commonly very rustic and earth toned – with the vibrant and modern look of the Fisher-Price toys. I’m really happy with how it came together in the end, though, and I hope you enjoy it too! 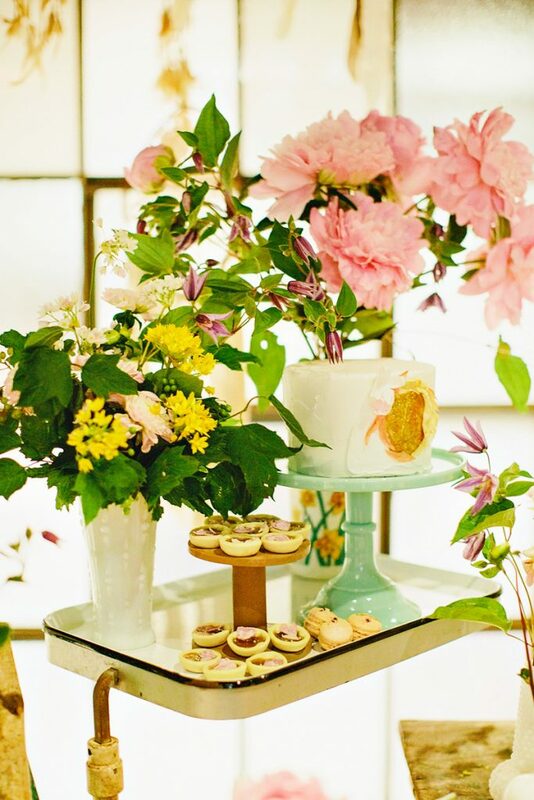 A few of my favorite details from everything EXCEPT the dessert table are below… I’ll be sharing that table in a separate post, which is coming up next! 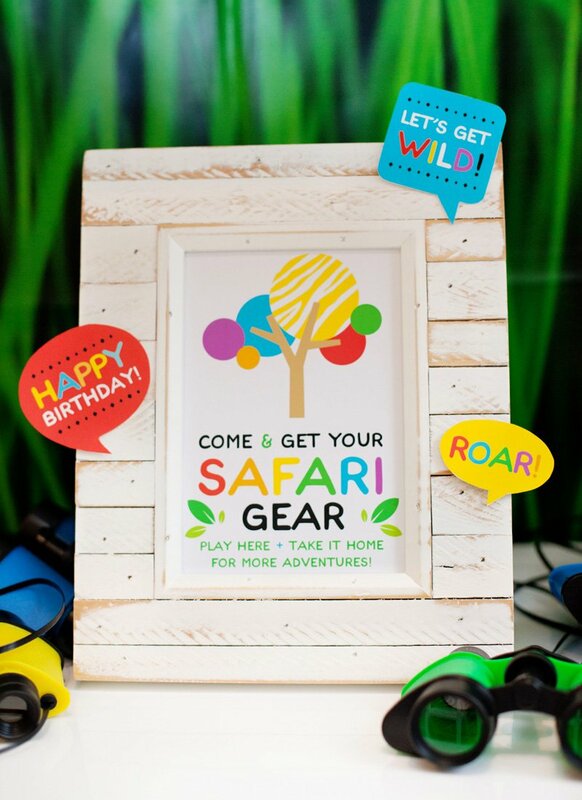 I use Ikea Tolsby frames a lot for party signage, and since they come in both red and white I just swapped the pieces to create “color blocked” versions for some of the 4×6 signs. 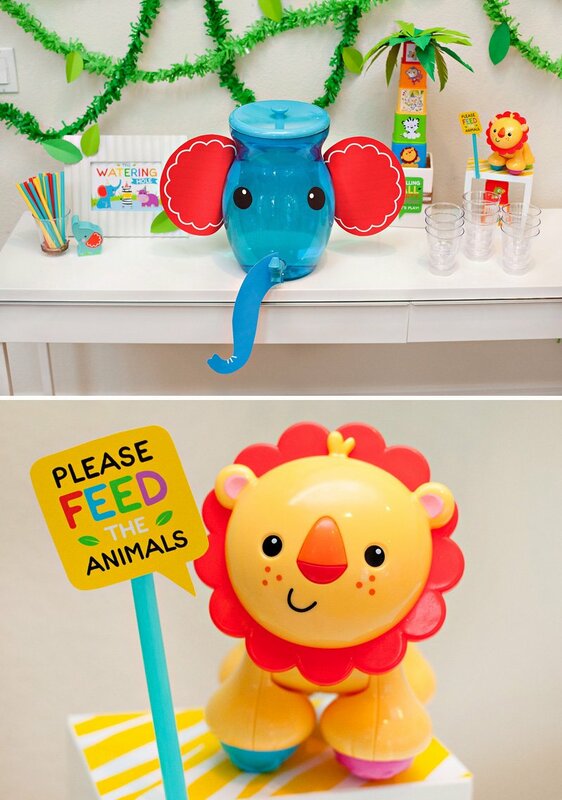 Here’s a peek at the Elephant Drink Dispenser… I was thrilled to find this blue acrylic dispenser at Party City, then added som paper ears, eyes, and a trunk! Check out the full DIY tutorial here. 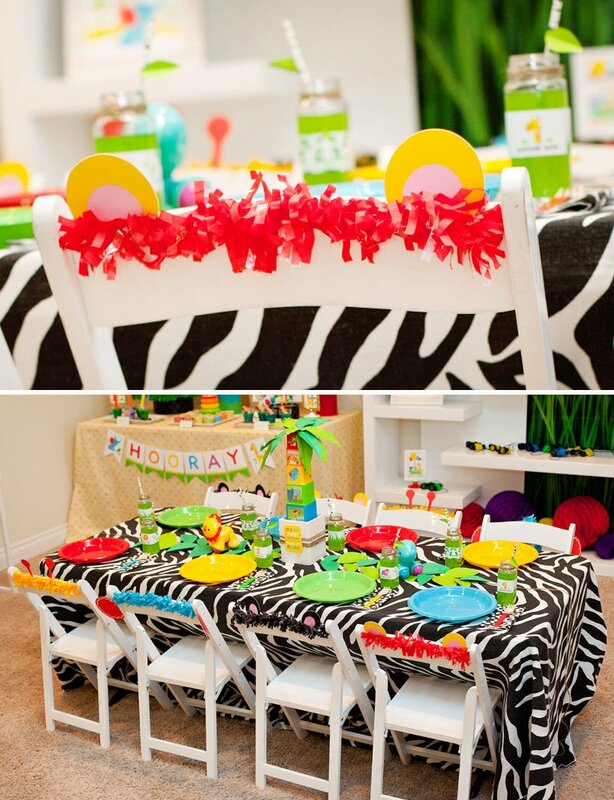 This was officially the first time I ever rented a Zebra Table Cloth. Not sure why I waited so long – it was fabulous! ;) The plastic plates are from Party City and added a nice, colorful contrast to the black and white base. 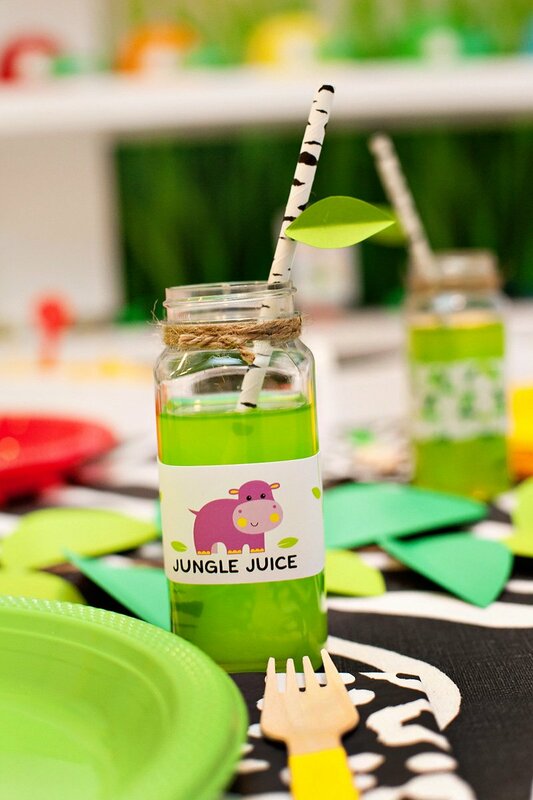 Download the Jungle Juice and Safari Sips drink wraps right here. 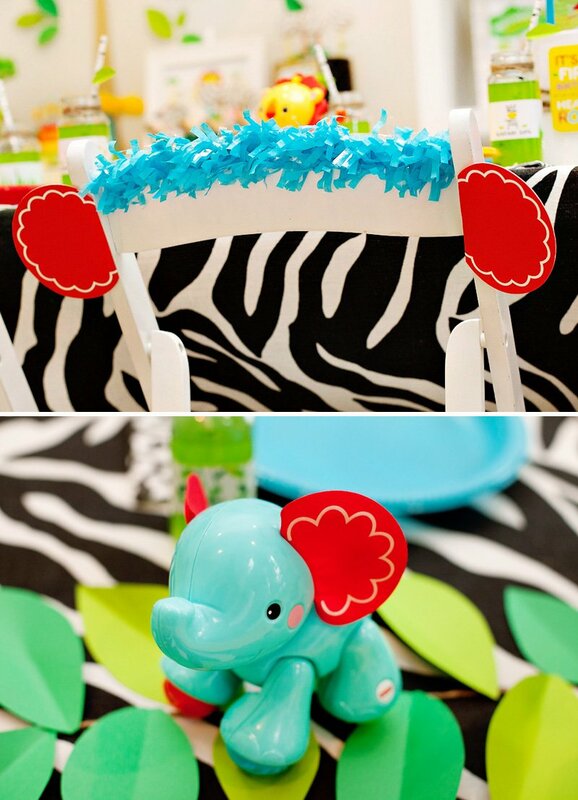 Pictured above: a closer look at the adorable elephant toy I mentioned before that inspired the drink dispenser… and one of the kids chair designs! 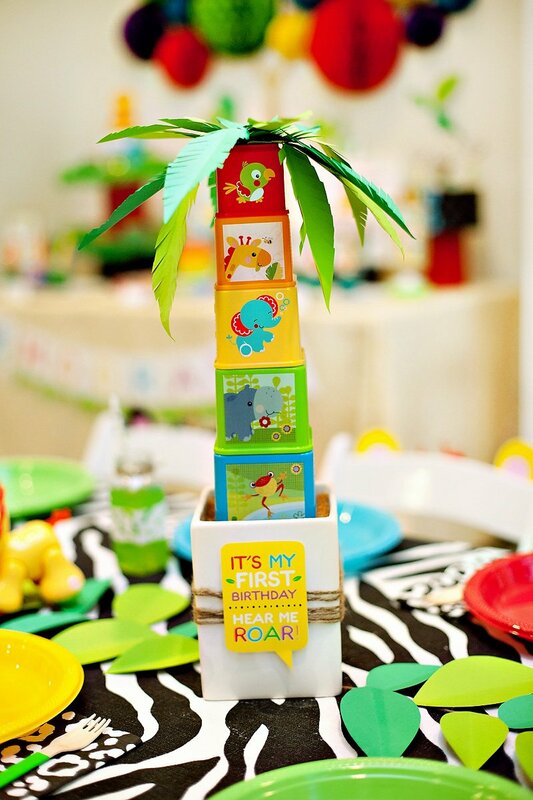 Here’s the Rainbow Blocks Palm Tree Centerpiece that I also mentioned earlier. Pretty fun for a first birthday, right?! Just glue the blocks together and tape/glue dot paper leaves on top. I also elevated it in a foam-filled vase to add height (and covered the styrofoam with sand). For some reason I just can’t seem to every resist adding sparkle. 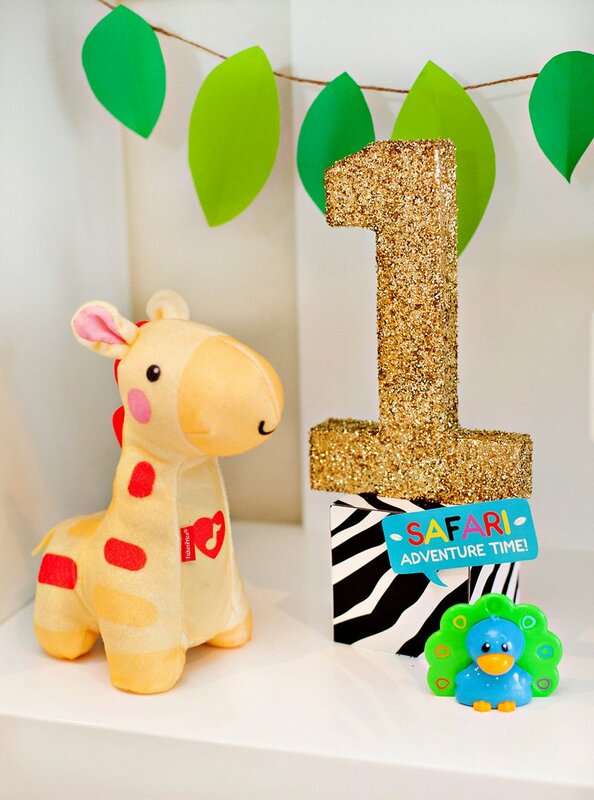 So, in addition to featuring all the colors of the rainbow, this safari also has a dash of gold glitter in a few key spots! Giraffes are my favorite animal, so I was particularly fond of the musical giraffe toy pictured above, and couldn’t resist bringing giraffes in elsewhere, too! 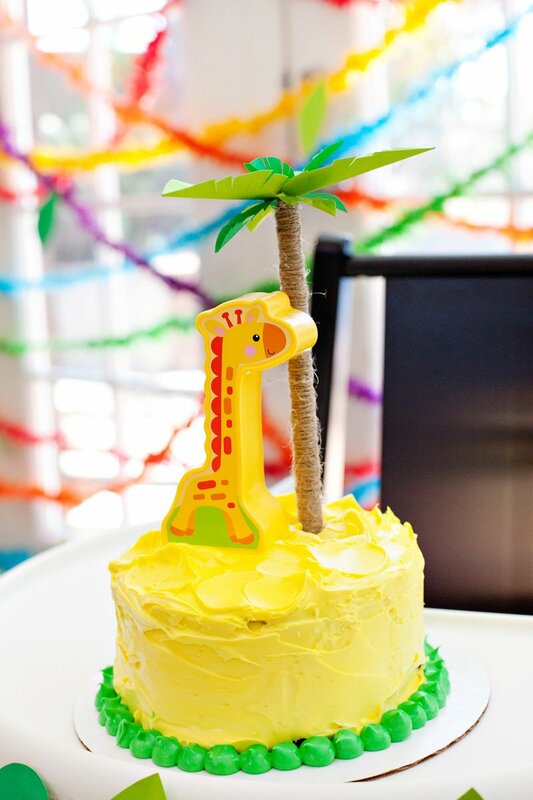 How cute is our little birthday boy, Mason?! He dug right on into our smash cake, which was awesome and so fun to watch. 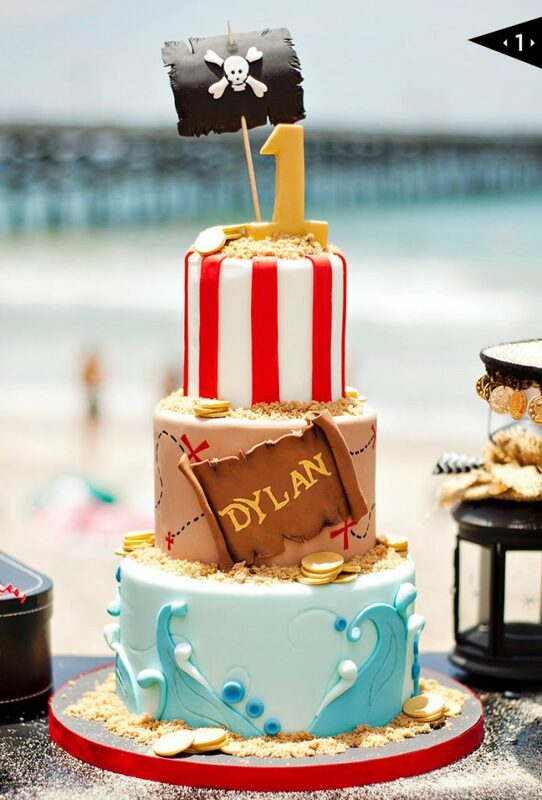 I mean, the messier the better when it comes to smash cakes, right?! 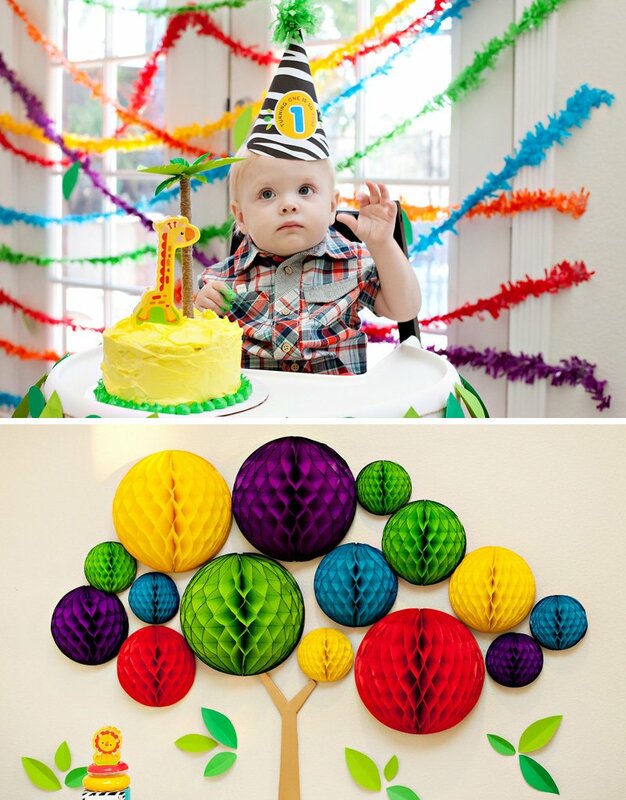 Rainbow Jungle Vines instantly transformed the room and are SO easy to make. I ordered a bunch of different fringe garland colors from TomKat studio, then we strung them across the doors in my living room and added a few paper leaves. 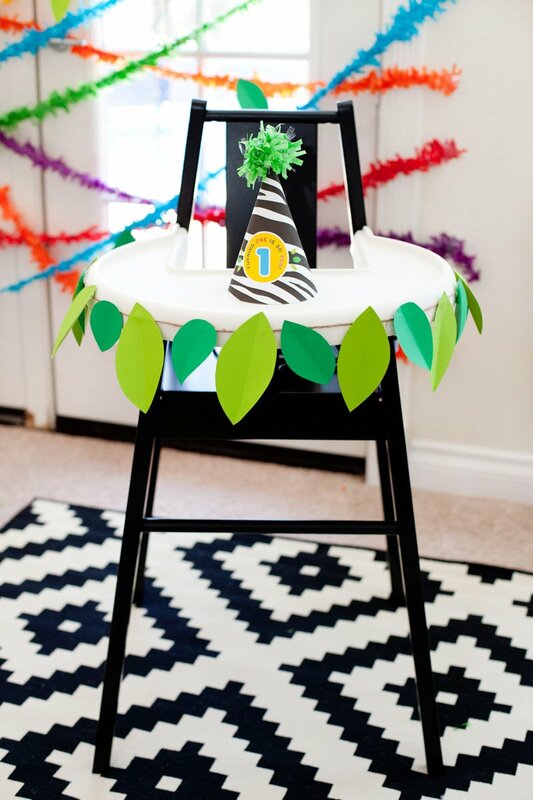 This idea would make an awesome photo booth backdrop too! 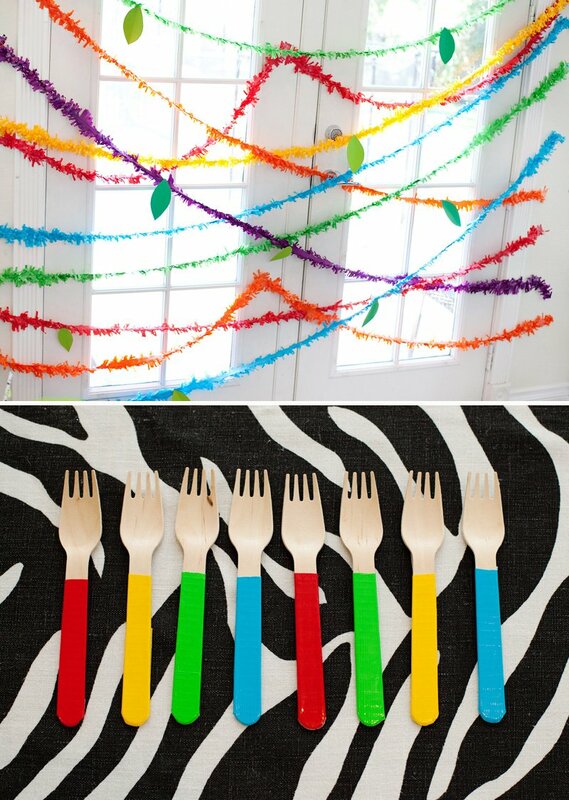 Wood forks got a vibrant makeover with the help of colored duct tape. 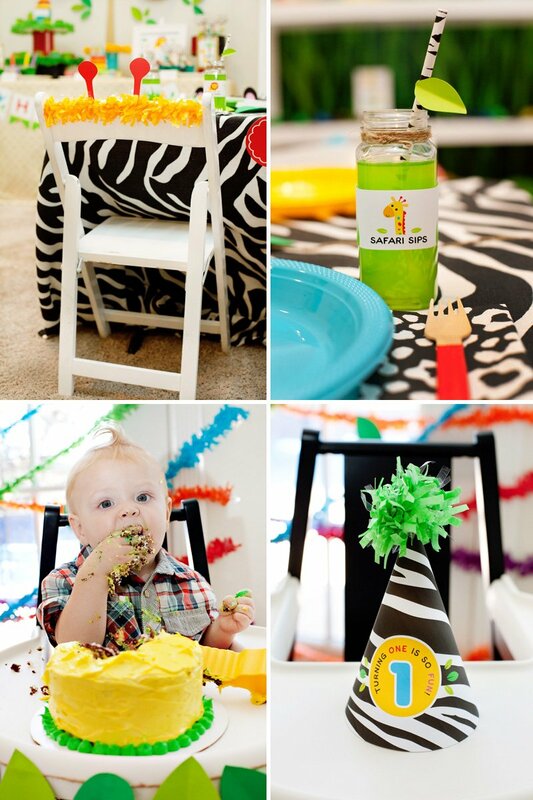 We also had a play area set up with toys for the littlest guest to just have fun with as they please. These types of areas are as much a life saver for the parents as they are for the kids! 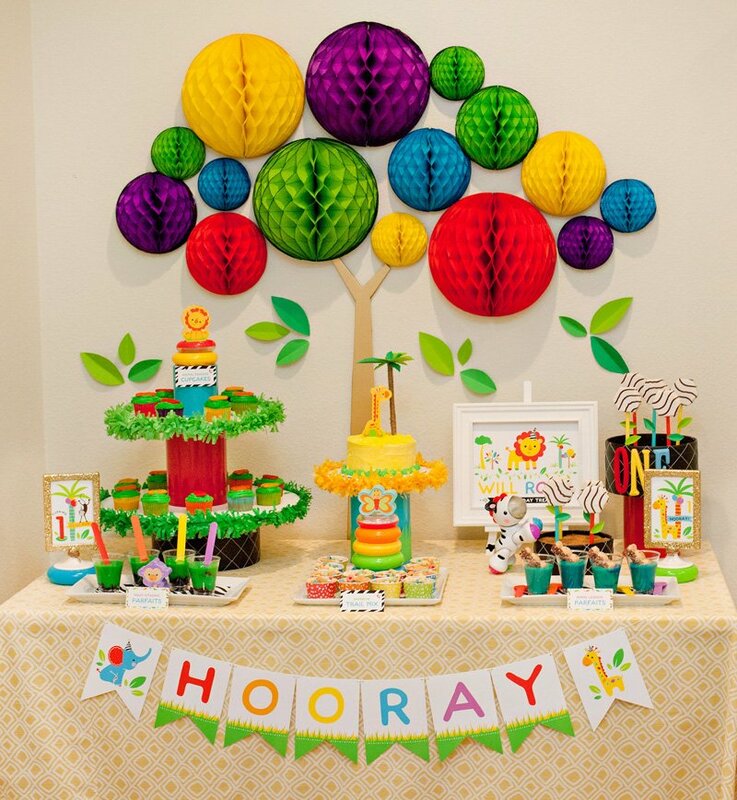 Last but not least, pictured above is a sneak peek of my Rainbow Safari Wall Tree, which was the backdrop of the dessert table and definitely one of my favorite things from this theme… In fact, I left it up on the wall until it absolutely needed to come down to make room for another project. Find the DIY Tutorial here – and visit Part 2 (coming soon!) for a closer look. Where did you find the water dispenser?